Kathy Rae Carmichael obituary. Carnes Funeral Home. May 20, 2013 Mrs Carmichael was my counselor while I was at DARS. one thing that she had more than anything was a heart of kindness, she will be deeply missed by me and all of the people's lives that she touched. Joandri R.
Kathy Rae Martin Carmichael was born in Port Sulphur, La. on January 26, 1950. She passed away on May 14, 2013, at the age of 63. Kathy is survived by husband, Belford E. Carmichael; son, Shawn Oliver Carmichael and wife Ronna of Benicia, Ca. son, Oscar Harrell Carmichael and wife Robin of Kyle, Texas. Kathy is preceded in death by son, Scott Ian Carmichael. Kathy is also survived by grandchildren Ember Carmichael of Monroe, La., Heather Whitton and husband Caleb of West Monroe, La. ; PVT. Jonathan Fautheree, U.S. Army, Alyssa Carmichael of Benicia, CA., Miley Carmichael of Benicia, Ca., Vivian Willett of Kyle, TX, Chance Willett of Kyle, TX, Caleb Carmichael of Kyle, TX,; sisters Charlotte Hutto, Nanya French and husband Stephen, brother Oliver Lynn Martin and wife Janice, along with numerous nieces, nephews, aunts, uncles, and cousins. 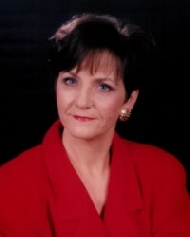 Kathy was a resident of Texas City since December 2004. She worked here in Texas City for the Department of Rehabilitative Services as a counselor. Kathy was raised in church with a deep love for God and great faith. She was a very determined person with a strong will, once she made her mind to do something nothing could stop her. Kathy quit school as a junior in High School in 1967, but was determined to get her education. In 1987 she got her GED, her Associates degree in 1991, her Bachelor’s degree in 1995, and her Masters in 1999. She had a deep love for people and always tried to help anyone she could.